MICHELLE Jankovic needed a helping hand but didn’t know where to find it. Ms Jankovic, whose 12-year-old son has mild cerebral palsy, found it difficult to find extra support for her son once he entered primary school. To fill the gap she saw widening beneath her very feet, Michelle started up Helping Hand – a disability services workshop aiming to better inform primary school families in Casey and Cardinia of the help available to them. 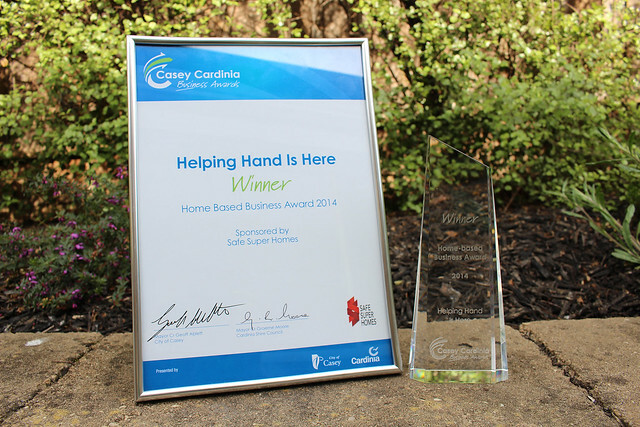 It is Ms Jankovic’s dedication that has led to Helping Hand taking out the home-based business category at the Casey Cardinia Awards. “It was hard finding support, endless phone calls, trying to chase support when I’m trying to find time to digest Bailey’s diagnosis, and what that means and what he requires,” Ms Jankovic said. “I was always involved in check-ups and daily therapy, spending many hours in the waiting room at the Royal Children’s. Ms Jankovic started up the online directory roughly three years ago, and the business has developed rapidly from there. She said nothing felt more rewarding that when she saw the looks of appreciation on the faces of the parents she spoke to. “You have no idea, when I see their face and the light bulb goes off that there’s new support, that’s when I get the joy,” Ms Jankovic said. Ms Jankovic is now also encouraging schools to invite her to hold discussions with parents and carers to make them aware of what support is available and where to find it. She said the response from schools had been extremely encouraging. “All the principals I’ve spoken to 100 per cent agreed that there was a need for this type of workshop,” Ms Jankovic said. 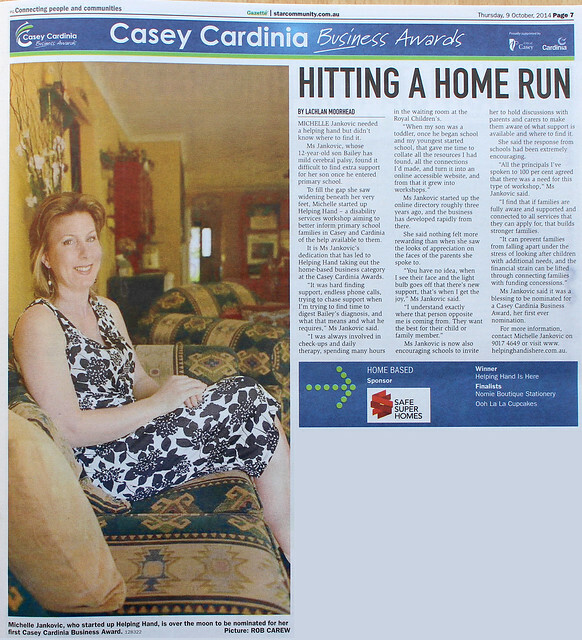 Ms Jankovic said it was a blessing to be nominated for a Casey Cardinia Business Award, her first ever nomination. Source: Star News. By Lachlan Moorhead. Picture by Rob Carew.